Palladium just hit its highest levels ever on Thursday 18 January! Spot palladium hit a record high of $1,434.50 on Thursday. It has risen about 12% so far this month. The price of palladium, used mainly in emissions-reducing catalysts for vehicles, has leaped nearly 70% since mid-August. Prices for the metal overtook gold for the first time in 16 years early in December. According to Metals Focus Ltd Palladium has been in supply deficit for eight straight years now and the supply for the metal can't adjust as it is mined as a by-product at most platinum mines in South Africa and Russia. JP Morgan believes there’s more upside in the Palladium price! In a note to clients JP Morgan Chase & Co said that with Palladium breaching the $1,343 level, it is likely to soar upwards to $1,587. You might think this spike will spark an immediate reversal and slump, as is often the case with commodity prices. That may not happen, though, because prices still are not high enough to prompt a supply surge. Palladium and platinum are part of an intertwined group of rare metals that occur in only three regions on the planet: Southern Africa, Siberia and, in smaller amounts, in the US and Canada. These platinum group metals crop up in the same deposits, so it is next to impossible to produce platinum without getting some palladium, and vice versa. 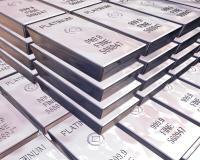 Most South African mines produce a majority platinum. And since the platinum price isn’t running with palladium, there’ll be no surge of supply from the world’s largest producer of PGMs. Why isn’t platinum demand increasing at the same pace? Because of the diesel scandals in the car industry recently, there’s a global slowdown of diesel car sales. Diesel cars use more platinum in their catalytic converters. Conventional petrol-engine cars use more palladium in their exhaust scrubbers. So we’re seeing demand grow faster than supply for platinum. But there’s still a massive market surplus from previous years that needs to be wiped out. Could platinum regain its lead over palladium? Platinum is actually the better catalyst of the two metals. But because palladium was so much cheaper for so much longer car makers switched over to catalysts that contain more palladium instead of platinum. A switch back by manufacturers for what appears to be a marginally more efficient platinum-based catalytic converter system, which would be currently considerably less costly given comparative pgm prices, could well mean that platinum demand will rise and palladium will fall. This will take time, but the longer palladium remains at a price premium over platinum the bigger the incentive to switch back to a platinum-based catalyst system. Gearing up to a reverse switch of this type could happen far more quickly than is currently anticipated given the manufacturers of emission control catalytic systems are already producing platinum-based systems for the diesel market. Which shows how you could turn R10,000 into a massive fortune. Click here now to claim access to this secret blueprint. Considering the vast majority of PGM demand is from car exhaust catalysts I wouldn’t make any long term bets on the metals. You see, electric vehicles seem like a more likely alternative than hydrogen cars. And that means there will be a massive drop in PGM demand once the internal combustion engine start disappearing off the scene – not to mention the recycling of spent catalysts that could return huge stocks of both platinum and palladium to the market. Sibanye Stillwater Limited acquired a US based palladium producer in 2016. Since it acquired Stillwater the palladium price is up more than 75%. Even in 2018 whilst the palladium price was considerably lower the US operations contributed as much as 42% of Sibanye’s profits.